Armani clothes give you stylish fashion you can wear, but now they have fashionable decadence you can eat as well. 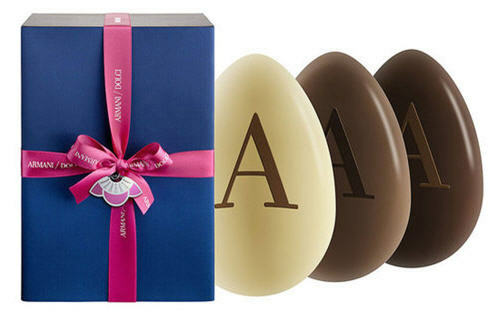 For Easter this year forget the traditional chocolate bunny or Cadbury Egg, Armani has their own white, dark and milk chocolate Dolci Egg creations to tempt even the richest palate. Embossed with the unmistakable "A" and delivered in a sky blue box dressed with a ribbon, these chocolate eggs are not for the children to hunt down in the yard, but for a special someone who deserves some sweetness this spring.